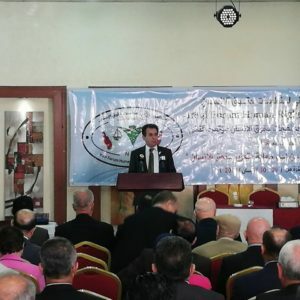 On the 29th of April, and in Second conference for Iraqi Civil Society Forum, The president of Kurdistan human right commission has emphasized the role of civil society organizations at the status quo in documenting human right violations. He also emphasizing the importance of being not biased and not being involved in ideological conflict between authorities . He also stated that the existence of civil society organizations is an important issue that cannot be ignored. He also discussed the role of some governments which does not praise the role of civil society organization and resulted of being marginalized from their role, while other organizations have become a stage for political parties rather than serving the community. Mr. Diya also talked the role of human right commission in protecting human rights according civil society organization to law article 4 for 2010 and coordination efforts with civil society organizations and documenting human rights violations through periodic reports such as UPR as well as studying many laws and preparing policy drafts for others.